Thinking about booking a cruise? Cruises are my favorite way to travel. It is reasonably priced when you start to think about prices versus a la carte vacations- hotel, food for all meals, drinks, entertainment, shows, etc. I love cruises because I get to see multiple places on one trip and you only have to unpack your suitcase one time. Another thing I love about cruises is the many different things to do onboard. There is something for everyone. They truly care about providing a great vacation experience to passengers of all types and ages. Restricted Travel Dates – Many people are restricted to when they can cruise due to work or school schedules. This is completely fine and very normal but just please understand that cruise fares are typically higher during Spring Break Weeks, Easter, end of May, all of June, all of July, first two weeks of August, thanksgiving week, last two weeks of December and New Year’s week. Cruise fares are based off supply and demand and they know people will pay to cruise during these times. Don’t let this deter you though, cruises are still great values and great vacations. Flexible Travel Dates– your cheapest cruises will be in January, February, early March, October, November (except Thanksgiving), and early December. During these times, you can find really great deals. Cruise Ship Departure ports are found all over the world. Which one is closest to you? Florida – Jacksonville, Port Canaveral (Orlando), Tampa, Miami, Port Everglades – Ft Lauderdale– Carolina- Charleston, – Alabama– Mobile, – Louisiana- New Orleans, – Texas- Galveston, New York, Bayonne, NJ, Maryland- Baltimore, – Washington- Seattle, and many more. Hotel charges – free airport shuttle? Do you need to drive to a port? How far do you want to drive? Cruise ships can take you all over the world. Where would you like to travel to? Just remember that it does take time to get to these ports in the ocean, so those that are further south, will require a longer cruise. Bahamas– these are typically shorter cruises leaving from a Florida or Charleston Port. Some of the 7 day itineraries will include a stop in the Bahamas. Caribbean– these are typically at least 4 day cruises but your Caribbean cruises will typically be at least 7 days. Typical Caribbean ports – Mexico, Belize, Honduras, Cayman Islands, St Thomas, St Maarten, San Juan, Jamaica, St Kitts, Antigua, Dominican Republic, Turks and Caicos, etc. Southern Caribbean ports – Barbados, St Lucia, Aruba, Curacao, Dominica, Grenada, Bonaire, St Croix, St Barth, etc. Alaska- once In a lifetime opportunity. Alaskan cruises typically depart from Seattle or a Canadian port and typically are 7 days. Others Include various destinations – Hawaii, Australia, New England, Europe, British Isles, French Polynesia, California Coast, etc. Cabin Choices – you have multiple different choices when it comes to choosing the right cabin for you. Ask your travel agent for more options in your desired cabin category. Oceanview Window Cabin – this is a great option for those who want to be able to see outside but don’t want to spend the extra bucks to get a balcony. I have seen so many different types of oceanview window cabins including little portholes, to large portholes, floor to ceiling windows, spacious ocean view window cabins, cabins with a full bathroom and then a separate wash room (deluxe oceanview), etc. These sleep 1-5 guests. Balcony or Verandah Cabin – this is a great option for people that want the opportunity to step onto your private balcony and watch the sea, look for sealife, watch a sunset, have breakfast and coffee in your pjs as the sunrises, watch sailways, enjoy romantic private time with your loved one, etc. Balcony cabins also provide a little bit more cabin square footage as well as the balcony square footage. There are various options for balcony cabins as well – cove balconies on the lower decks, aft balconies, aft wrap around balconies, spa access balcony cabins, etc. Balcony cabins can sleep 1-4 and sometimes 5 on certain sailings. Suites or Concierge- this is a great option for people that want a little bit more “special” treatment or more space in their cabin. Suite guests get special perks depending on the cruise line. These cabins will come with a balcony as well. Again, there are many different types of suites available to choose from. Budget- decide on how much you are willing to spend on this vacation. You have the cruise fare plus other expenses, some of which have been discussed, such as transportation. Cruise Fare – this is the price of everything that is included for your cruise (Ask you agent for specific inclusions for your cruise line) This will include – cabin accommodations, general food and dining, water/tea/lemonade/juice/milk/coffee, shows and entertainment, taxes, and port fees. An average cost of your cruise fare should be around $100 per person per day or less for an interior cabin. Gratuities- each day the cruise line will charge your onboard account a set price per guest. This is typically $12-$15 per person per day. After the cruise, this gratuity is distributed between your cabin stewards, dining room staff, etc. You can choose to leave additional cash for excellent service as well. Unlimited Drink Packages – Your cruise line will typically offer a drink package to you at an additional cost. The packages usually include a SODA PACKAGE (around $7 per person per day), refreshment package ($15 per person per day), or the Alcohol package for (around $55 per person per day). Excursions- Your cruise line will provide you with lists of great activities to do at your ports of call. These are not mandatory to get off the ship but do provide for great experience’s. You can also get research the ports before you sail and choose to explore on your own- meaning you have a destination in mind and hire a taxi to take you there, this is very common. Just keep in mind that booking an excursion thorough the cruise line is the safest way to experience the ports of call – these are reputable companies and you are guaranteed to make it back to the ship. Ship Features- we are in a world that has sooo many different types of cruise ships and features to choose from. Your travel agent can help you determine which ship works best for your needs. Do you have kids? Are you looking for activities like water slides, water parks, ropes courses, awesome kids clubs, splash pad areas, characters, game shows, rock-climbing, ice-skating, games, mini-golf, flowrider, zipline. Boardwalk at sea, central park, etc? Do you want adult-alone time? Many ships provide wonderful ADULT-ONLY areas on the ship. Are you looking for thrills and experiences at sea? Are you looking for specialty dining options or celebrating a special occasion? Do you like new/renovated larger ships? Or classic/smaller ships with less passengers? I hope these thoughts will help to put you at ease when you start to think about going on a cruise. It seems like a lot, but there a plenty of people that are willing to help you and make sure that you plan a wonderful cruise, especially your travel agent. Thank you for visiting my blog and taking the time to read this. Previous: Previous post: I was SPOILED by Disney Cruise Line! 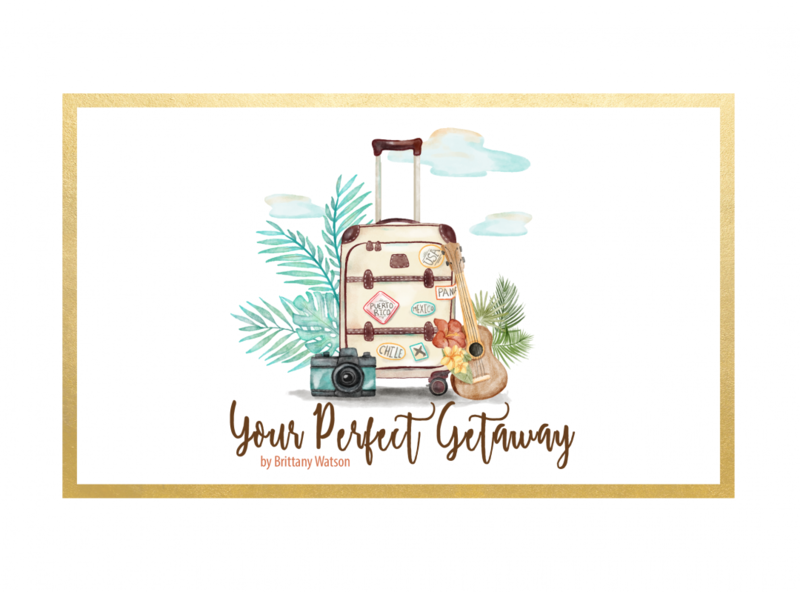 Next: Next post: Client Portfolio – Vacations I have booked for my clients!